Sheri Kaplan offers transformational Sound Healing sessions by appointment. 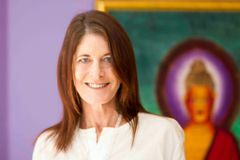 She incorporates a MULTI-SENSORY approach in these healing sessions using a unique combination of techniques; Access Consciousness Bars Practitioner, Tibetan and singing crystal bowls, gong, Reiki, sacred geometry Crystal's, Tesla Healing Metamorphosis, aromatherapy, transformational coaching, Shamanic work and intuitive readings. Sheri Kaplan is the only Healer you need to go to, so stop running all over town! Questions? Call Sheri[masked] or text message. She does not take walk in’s.